If you’re an art lover or simply just want to give new life to your home or office, 777 Sign is the place to come for fine art reproductions on canvas. Our semi-gloss finish canvas is meant to be durable for the long term. It’s fade resistant, meaning it will look just like new far into the future. The canvas is a polyester and cotton blend, and it’s specially coated -- this helps it maintain superior color quality. This 15 mil. canvas is available for same-day shipping if ordered before noon PST. All 777 sign products carry a minimum $10 charge. These fine art reproductions on canvas make for great decorations for home or office. 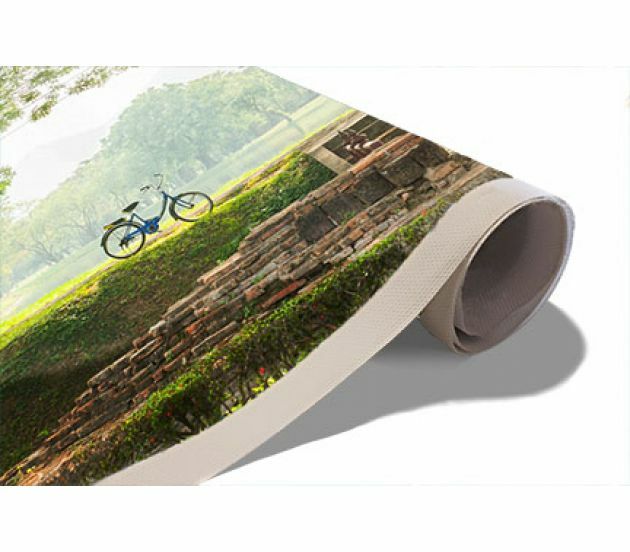 Impress customers and guests with these long-lasting prints that won’t fade and offer high-end, impressive color quality. Art lovers rejoice, because 777 Sign is the place to go for fine art reproductions on canvas. These will look great for a long time, drawing your eyes and the eyes of all visitors for years to come. Just bring in your art and we will get on canvas for you, in no time at all. Trust 777 Sign with all your personal and professional visual needs. We offer durability, high quality and fast shipping all for affordable prices. Give us a call today for all your business, home and event signage needs. For banners bigger than 49" x 160', we hem multiple banners to accommodate any size. You can't really see the seams where banners are hemmed together once you step away a few feet.